At Chalet Hotel Tarentaise you will find all home from home comforts, from the large lounge with central roaring log fire and bar area to the dining room looking out to the mountains. The spacious bedrooms are all en-suite and most have balconies. Choose from a twin, double or inter-connecting room, most of which can take an extra bed. And if you’re feeling in need of some pampering, all you need to do is visit our Viva therapist and sauna on the lower ground floor. From December 2018 Chalet Hotel Tarantaise will continue to welcome children but we will no longer provide childcare. Please note: from December 2018 Chalet Hotel Tarantaise will continue to welcome children but we will no longer provide childcare. Find out more about our family friendly hotels with childcare. Take a look at the treatments we have on offer in our Viva Treatment Menu, these can be booked on your arrival in resort. Travel cots for infants under 2 years. All beds have synthetic duvets and pillows, double linen for twin beds is available on request. Cot linen is provided. The mountain facing rooms have balconies. Guest rooms are cleaned daily except chalet staff day off with towels changed mid-week. Entrance to guest rooms is accessed using a key. We update Chalet Hotel Tarentaise's details often, but facilities do change. e.g. some extras listed by the supplier as "free" or included might only be for the first time you use them, or for one time per party, then charged for further use. If any specific feature is essential to your holiday, make sure you ask us to confirm the details of it before you book your holiday. This package holiday to Chalet Hotel Tarentaise in Meribel & Mottaret, France departs Sunday 15th December 2019, for a 7 night stay on a "catered chalet" board basis. A local tourist tax (Taxe de Sejour or Kurtaxe) is levied by many councils in European ski resorts. It varies by standard and type of accommodation and is age dependent, so not everyone is charged. It's not included in the basic price of your holiday and is usually paid locally. For reference, the average charged in winter 15/16 was between 50p and £2 per person, per night. Meribel & Mottaret lift pass price last reported as €212 (adult 6 day). 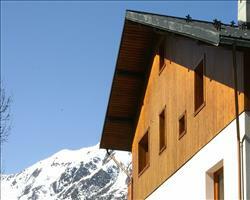 Ask for a quote when booking Chalet Hotel Tarentaise. Chalet Rosalie One Meribel & Mottaret France, Gatwick to Grenoble 15th December. 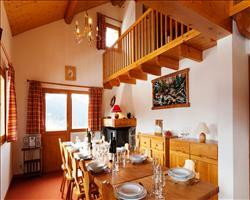 Chalet Rosalie Two Meribel & Mottaret France, Gatwick to Grenoble 15th December. 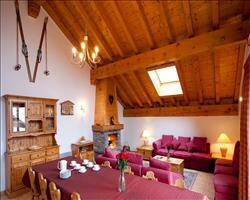 Chalet Alysson Meribel & Mottaret France, Gatwick to Grenoble 15th December. 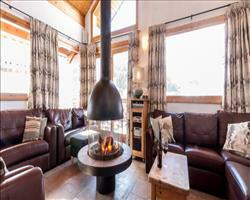 Chalet Azalee Meribel & Mottaret France, Gatwick to Grenoble 15th December. 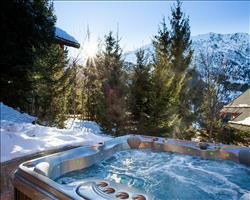 Chalet Telekie Meribel & Mottaret France, Gatwick to Grenoble 15th December. 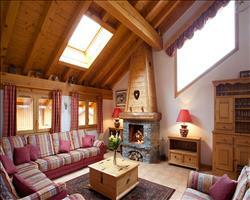 Chalet L’Ancolie Meribel & Mottaret France, Gatwick to Chambéry 15th December. 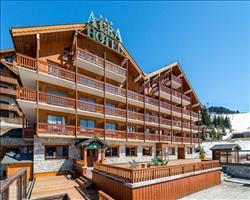 Chalet Hotel Alba Meribel & Mottaret France, Gatwick to Chambéry 15th December. 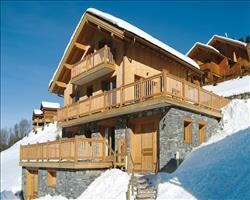 Chalet Ecureuil Meribel & Mottaret France, Gatwick to Grenoble 15th December. 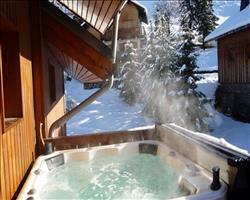 Chalet Serpolet Meribel & Mottaret France, Gatwick to Grenoble 15th December. 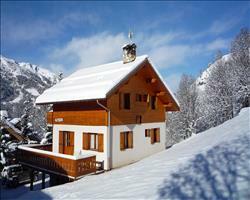 Chalet Virage Meribel & Mottaret France, Gatwick to Grenoble 15th December. "Food was highlight of the week"
We were a large family group aged between 17 and 63. We all had a wonderful holiday. A real home from home in the snow. The food was truly outstanding and probably, together with the outright fun of the staff, the highlight of our week. Well done all of you, the stars are too many to mention individually! "Friendly staff, great food, perfect for families"
The staff were really good, very friendly. The service is a cut above what we are used to. They pride themselves on taking good care of you, taking your bags up to your room, etc. It’s more of a family hotel, perfect for people with young children. They will look after your children all day if you want to go off and ski. The food was great, again it was better than your average chalet. It was definitely restaurant quality. We were really impressed. There was a reasonable amount of entertainment (without feeling like Butlins! ), like quiz nights for example. They encouraged the guests to socialise without pushing you to join in. We just wanted to completely relax so we didn’t go out much in the evenings, we just propped up the hotel bar! The position is great, right on the slopes. It’s great for ski in / ski out. The hotel has a big terrace that opens out onto the piste. The slope it’s on is good for beginners too, it’s a nice shallow slope and it’s quite central to Mottaret. If you ski down to the wrong part of Mottaret it’s just a short chairlift back up to the piste by the hotel. It was the end of the season and there was quite a lot of mud around the outside of the ski/boot room. This is the only downside I can think of. If you wanted to go into town every evening it wouldn’t be ideal either as there were lots of steps to walk down (or you could take a mini gondola/lift thing). There were some restaurants nearby but Mottaret is quite a small place. "Staff were out of this world, food was knock out, just needs a bit of a face lift"
We were very happy with the chalet – the staff were sensational they couldn’t have done more! Dinner is a choice of a couple of starters, mains and desserts. I was very impressed with the wine which they served by the bottle – they didn’t scrimp or scrape either. It’s a little tired and could do with a lick of paint, but you’re on a ski holiday and the rooms were spacious enough. The location was great for skiing – you’re 10m from the nearest piste so you ski back there, take your skis off and walk the last bit. My daughter and son had only been skiing once before, this was their second week and they could certainly cope with skiing the blue down. If you know Mottaret, it’s quite a quiet village and the chalet is a little out, it would take about 10 minutes to walk there or there’s a little bubble car that runs until 10pm. There isn’t a lot to do in Mottaret though and on occasion we went to Meribel for some après ski and got the bus back, which I don’t remember being a problem. The only negative thing about the place was that they charged for WiFi and it wasn’t cheap, you had to pay per unit, not per family and we ended up paying 40 euros! I don’t feel they should be charging in this day and age, hopefully enough people have given feedback that it will change.